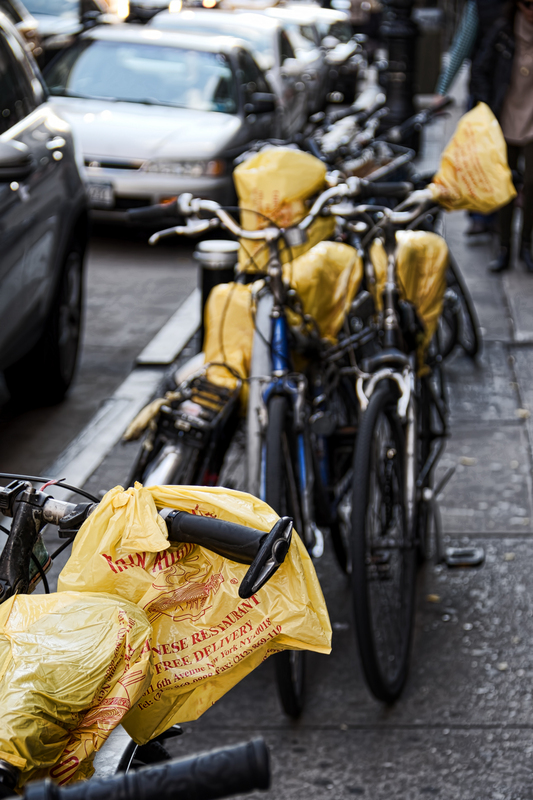 A fleet of bicycles on Sixth Avenue, ready to deliver Chinese food to hungry New Yorkers. I don't quite get why they're festooned with empty plastic bags -- do the delivery guys have to bag the food themselves as it comes out of the restaurant? -- but it makes for a nice picture.